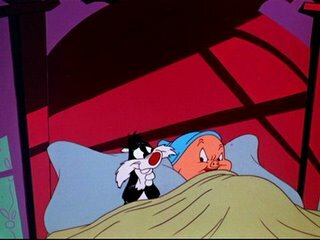 Home » Uncategories » Sylvester's takes from " Claws for Alarm"
Sylvester's takes from " Claws for Alarm"
here you have, for your pure enjoyement, some takes from "Scaredy Cat"'s remake, "Claws for Alarm". 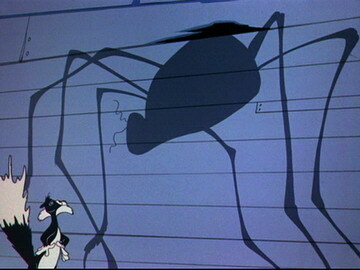 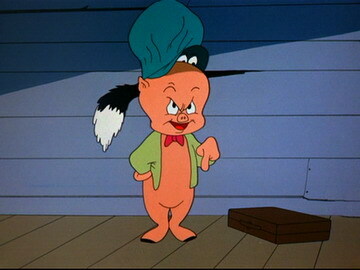 Look at how Chuck Jones' style changed in a few years. Gone are the realistic backgrounds in favor of UPA-like backgrounds. 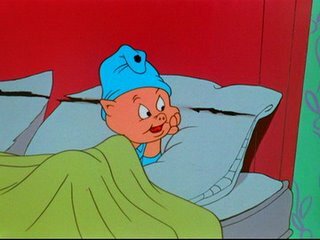 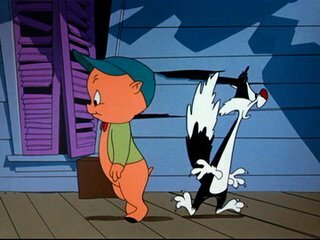 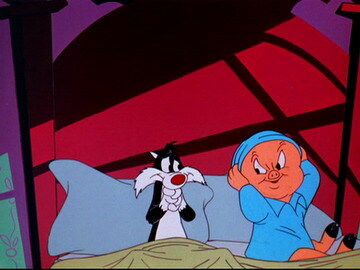 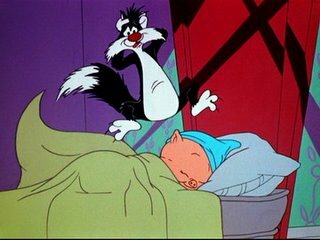 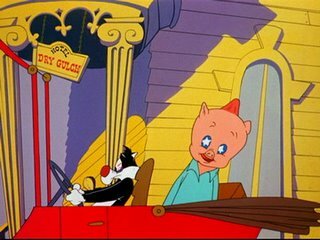 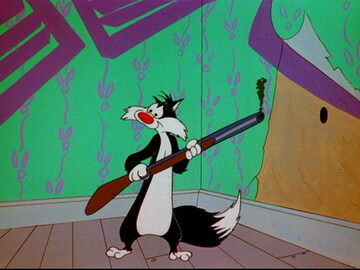 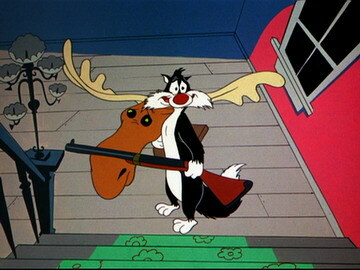 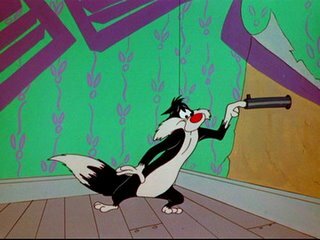 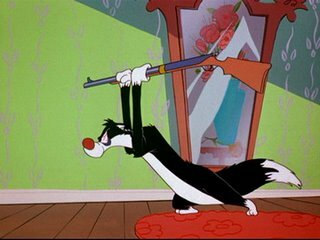 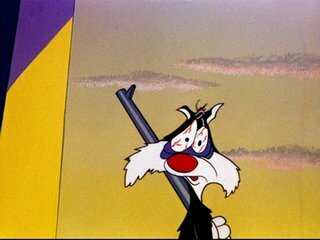 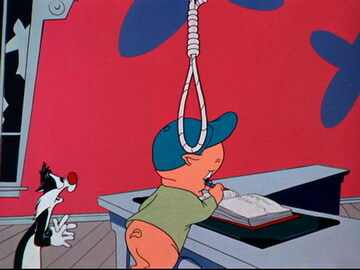 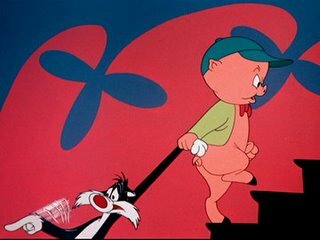 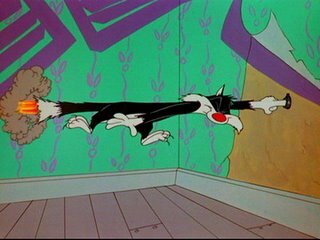 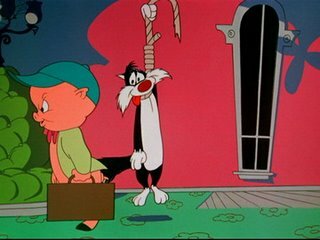 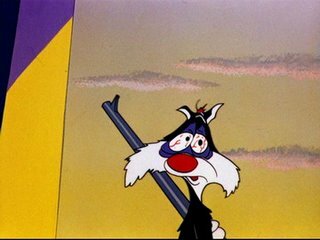 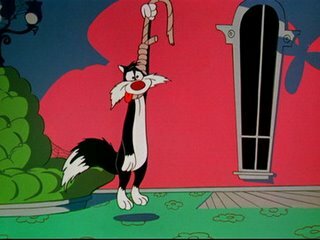 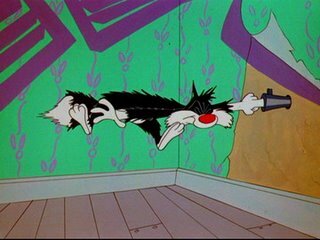 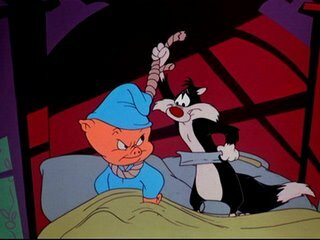 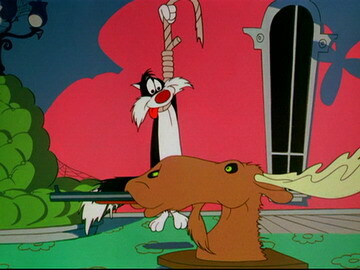 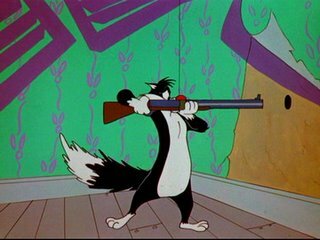 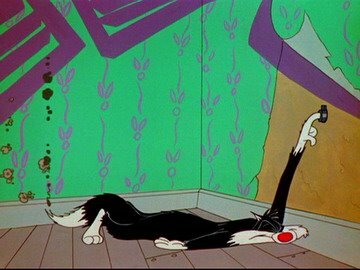 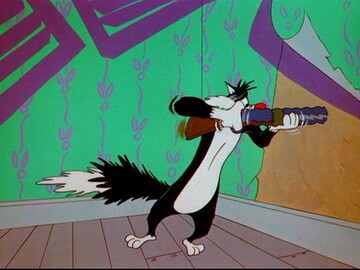 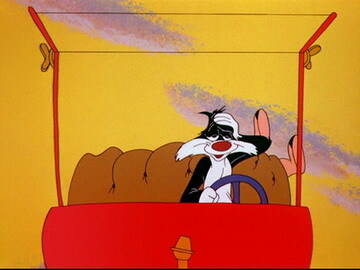 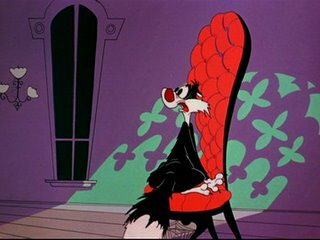 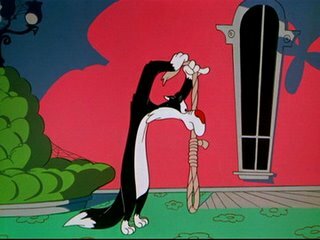 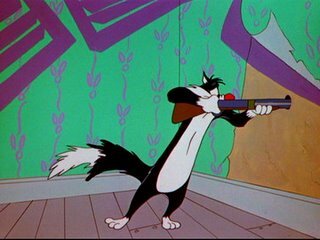 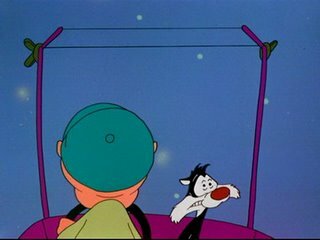 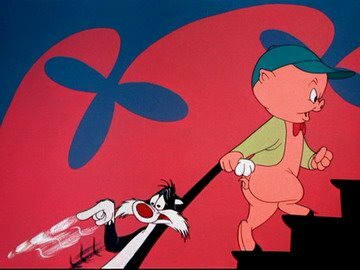 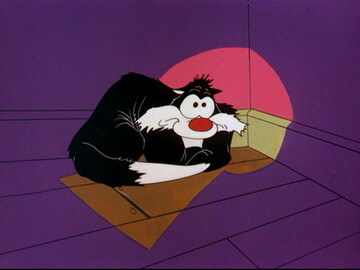 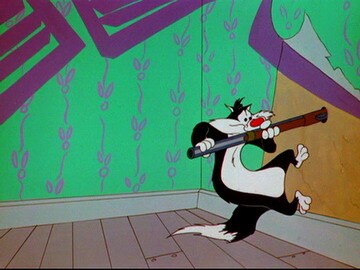 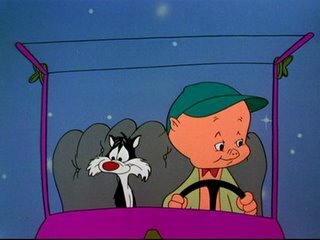 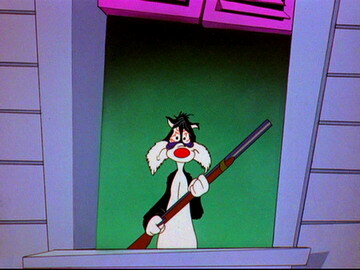 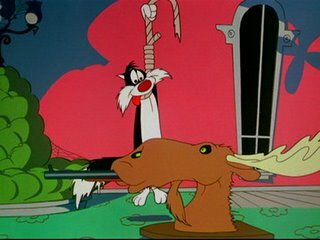 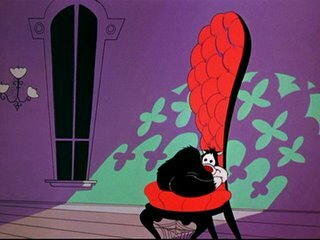 Gone is Sylvester's classic Freleng's unit-like design, instead we have a new feline character, looking as something between Claude Cat and Pepe Le Pew. 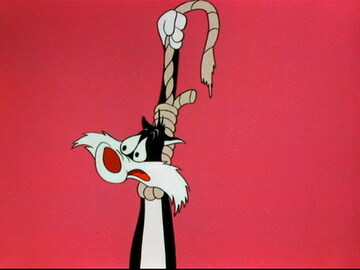 Great care is now given to the facial expressions, look at the attention to these details..amazing! 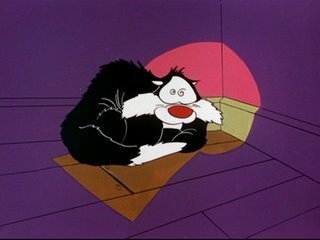 But..stop the talk and watch the stuff for yourselves! Feel free to post a comment here and go every 5 minutes to John K's blog, it's always worth the visit! 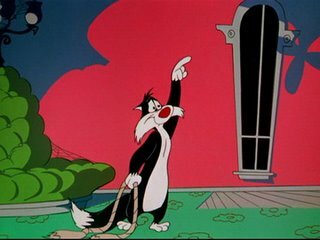 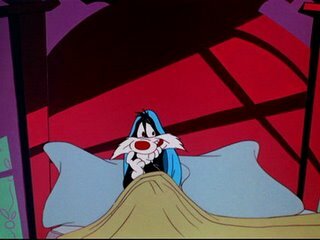 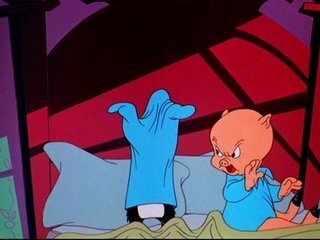 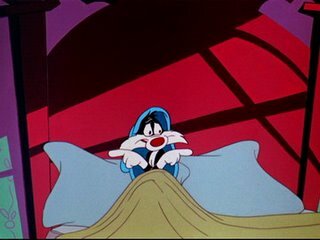 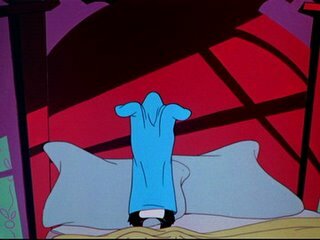 0 Response to "Sylvester's takes from " Claws for Alarm""